Pennsylvania's agricultural industry is in the midst of "extraordinary times," and Penn State will play a key role in helping it to seize opportunities and overcome challenges, Gov. Tom Wolf said on Wednesday. Wolf visited Penn State's Ag Progress Days in Rock Springs, where he was joined by university President Eric Barron, College of Agricultural Sciences Dean Rick Roush and state Secretary of Agricultural Russell Redding, all of whom addressed a luncheon for government and industry leaders. After Barron highlighted the work of some ag-focused entrepreneurs who have been aided by the Invent Penn State initiative to spur business development, Wolf lauded the efforts by Barron and the university for their efforts. "There are so many good things that come out of Happy Valley that make the economy in Pennsylvania better, including agriculture," Wolf said. "[Barron] is really wise to that opportunity. I think his goal is not to make Happy Valley the Silicon Valley of Pennsylvania, but to turn Silicon Valley into the Happy Valley of California." Much of Wolf's remarks focused on the importance of investment in agriculture. During his time as an agricultural extension worker with the Peace Corps, Wolf helped to bring food to a remote village in India, an experience he said continues to inform his views. "I saw first-hand how increases in food production can change communities, can change families, can change lives," he said. "Talking and working with many of you I know that you understand that. That’s why my administration has invested so heavily in agriculture." Touting his administration's work and bipartisan efforts to increase funding for a range of agricultural programs in recent years, Wolf noted that state funding for Penn State's College of Agricultural Sciences has increased by $6 million over the past three years after it saw big cuts during the administration of Gov. Tom Corbett. That restoration of funding was a bipartisan effort, something that will be needed to get the final piece of the state budget for the current year passed. The legislature approved and Wolf signed a spending bill for 2017-18, but they've yet to come up with a final revenue plan. Wolf took a moment for some light-hearted prodding to get one completed. "We did pass a budget with overwhelming support back in June. It was a compromise, but it’s a good set of expenses," Wolf said. "We’re now working on making sure we have the revenue to pay for it, and I think we’ll do that. So we need our friends in the legislature to return to Harrisburg and finish the job." The many opportunities for Pennsylvania agriculture are on display at Ag Progress Days, and Wolf said he, Redding and other administration members have been developing a 10-year strategic plan for the Department of Agriculture that will help embrace those opportunities. One aspect of that is encouraging students to recognize what they can do with a career in farming in Pennsylvania. "There’s no better business with greater opportunities than the family farm," he said. 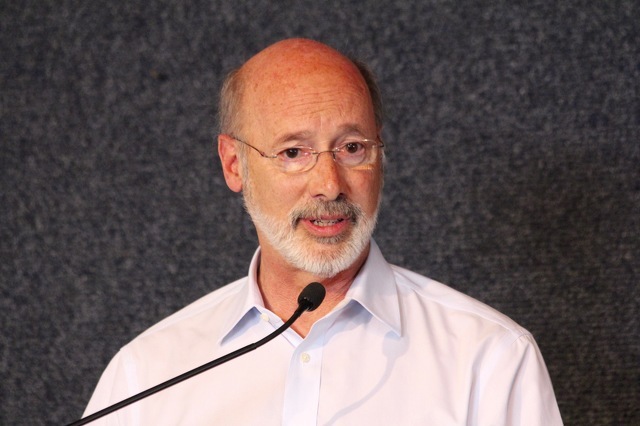 The plan should be in place by January, and Wolf said it will help identify new markets for Pennsylvania agricultural products while also connecting farms with the Commonwealth's five urban markets. It also will address workforce development challenges to help bring talent, like that coming out of the College of Agricultural Sciences, to the industry in Pennsylvania. "There are certainly challenges, but I believe there are greater opportunities," Wolf said. "Pennsylvania is a place where agriculture thrives. We all want that to happen. It’s part of our heritage, our culture and it’s a part of our economy. I want Pennsylvania to be a place where everyone has a chance to succeed." 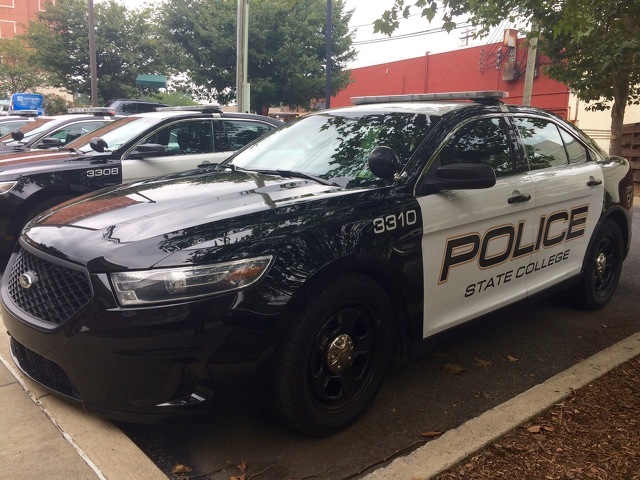 State College Police are trying to locate Horng-Chang Ke. Ke's family contacted police asking for assistance in locating him and reported that they have not heard from the 52-year-old since March 2016. His last known address was on Waupelani Drive. Ke is blind in one eye and wears glasses and has black hair and brown eyes. Police were not yet able to provide a photograph of Ke.